On Saturday, March 30, members of the Coharie and Lumbee communities will host kayak tours on North Carolina waterways to share their cultural and historical significance. Members of the Coharie will guide visitors down the Great Coharie Creek, exploring the river-based livelihoods of tribe members’ youth. This threatened river remains deeply important to the Coharie, who work to protect and maintain access to it for subsistence, as well as for cultural and recreational purposes. 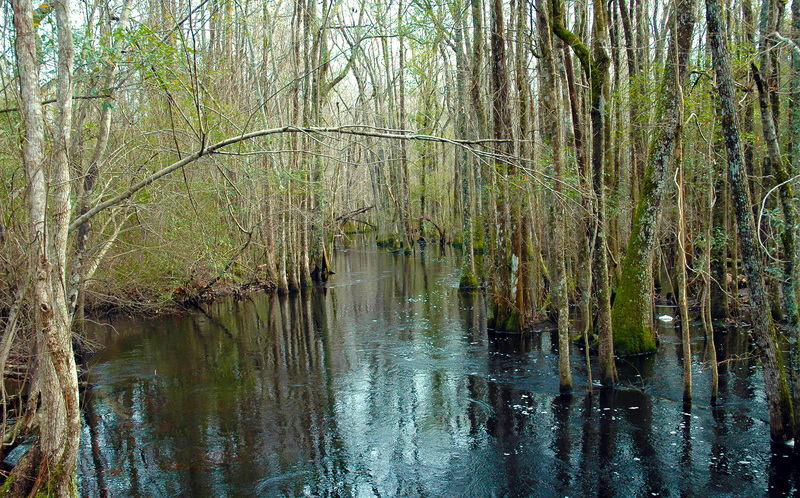 Members of the Lumbee community will guide visitors down the Lumbee River, the state’s only blackwater stream federally designated as a “Wild and Scenic River.” This river traditionally has served as a space for Lumbee resistance against oppression, a source for hunting and fishing, and a means of transportation. People First Tourism, which works to transform tourism into beneficial events for host communities and impactful experiences for travelers through equitable and sustainable practices and scholarship, is assisting with organizing the tours. The group previously received North Carolina Sea Grant funding for early research to support partnerships with communities and businesses in the state. Frog Hollow Outdoors, an organization dedicated to canoe and kayak education and exploration, partners for both events as well. The tours will run rain or shine, with activities appropriate for the weather. Registered participants will receive specific driving directions and advice on appropriate dress. Both events will last from 9:30 a.m. to 3:30 p.m.
Tickets include lunch, activities, and kayak and equipment rental, but participants may provide their own kayaks and equipment if they prefer. « What’s in Our Fish — and Our Gators?